The best thing about developer conferences is that they either turn out to be the place where promises are kept or dreams are shattered. Take the most recent unveiling of Diablo Immortal at Blizzcon as an example: Has any event in gaming produced so much cringe, disappointment, and meme-material at one time? Probably not, and that’s a shame because these conferences are opportunities to really get people hyped up. If you were at the Oculus Connect conference, then you knew that you were in for some big news. Ready at Dawn came to the Connect developer conference armed with nothing but good news: Echo Combat is coming November 15th. And there’s already talk of a Discord tournament. That’s crazy fast, isn’t it? An expansion to Echo VR, Echo Combat, alongside Echo Arena, brings combat to zero-g environments – this time armed with guns! As VentureBeat points out, Ready at Dawn’s hopes for Echo Combat is that it will become a cornerstone game of the eSports scene. Those are some bold goals but totally in line with a company with their vision. 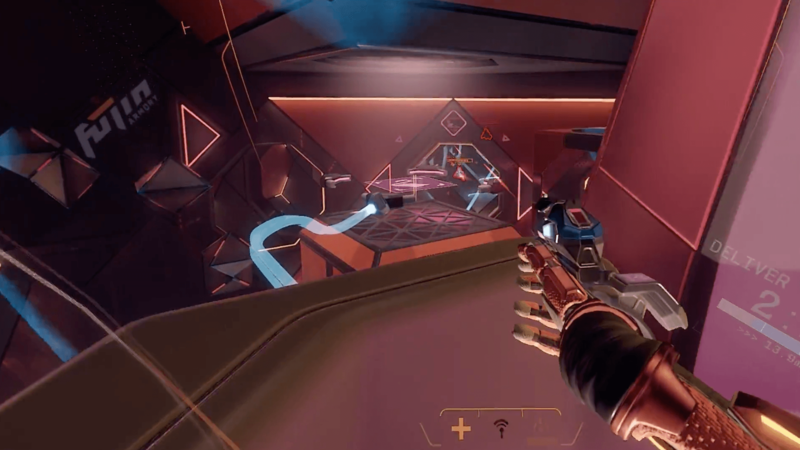 The devs showed off some of the weapons and stages that will be at the center of Echo Combat, as well as some of the game modes. Weapon types are unique and appropriate to the zero-g environment in the game. Names like Meteor, among others, are clear signs of this. Though the whole thing is very much grounded in traditional first-person shooter mechanics, the game’s addition of VR makes it a wild card in terms tactics and strategy. Movement, for example, takes an even more central role in determining what a player does and how he reacts. That it is all in virtual reality is also something hard to ignore, especially for audiences used to traditional gaming. Interestingly, Ready at Dawn is implementing role-playing game style mechanics in Echo Combat. Playing online in multiplayer will earn players experience points and allow them to level up. Similar systems are employed in games like Activision’s Call of Duty: Black Ops 4, but the addition of this mechanic to a VR first-person shooter is pretty unique. Leveling up also unlocks unique player customization options such as decals and emotes. Rounding out the suite of offerings that is Echo VR, Echo Combat is also trying to bring some new crowds, particularly those gamers enthralled with eSports and battle royale gaming. Word of an Echo Combat tournament before the game is even released is a pretty good sign that Ready at Dawn is serious about pushing it out in a big way. To be held November 17th over popular chat service Discord, the Echo Combat Discord Cup begins at 2 PM and is open to everyone. Naturally, we think you’ll probably need to own the game. Whether or not it lives up to its promise remains to be seen, but Ready at Dawn is not new to this genre. If anybody can make VR first-person shooter titles big in the world of eSports, they’re the people to do it.